Garden Games Get Knotted For Hire In Liverpool And Surrounding Areas. Have you ever attended a boring party? We bet there was little to no entertainment for the guests. There’s nothing worse than hosting an underwhelming party, no matter what the situation is. So if you’re going to host a party of your own sometime soon, you need to think about fun ways to entertain your guests. Or - better still, you can simply let us help you. Here at KC Bouncy Castles, we are dedicated to providing the ultimate party needs, games, and activities for all occasions. Our years of experience and excellent customer service have hand-in-hand kept our clients 100% satisfied. Let your party be our next mission. If you are familiar with the popular game Twister, then you will enjoy our new offer: Get Knotted. This is Twister on steroids, basically. 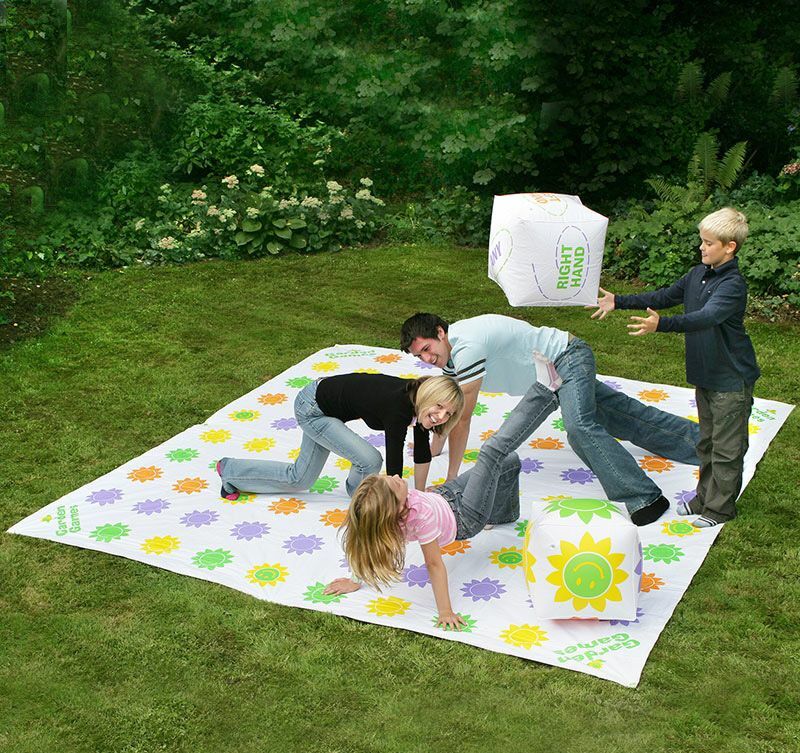 It is bigger, has more possible twists and turns, and can bring more fun to the party. Plus, it’ll give you a nice break from work and an opportunity to engage in physical activity. The goal of the game is simple: Players will stand on the game mat, while another player stands outside and is responsible for rolling the (life-sized) dice. Players need to follow what the dice say, placing certain hands or feet on specific colours on the mat. The game becomes more fun as it goes on, and it’ll be exciting (and hilarious) to see how players attempt to twist and shimmy their bodies to fulfil the required combination. Family and friends will enjoy this game. Whether it’s a kids’ party, a birthday, a wedding reception, a reunion, or something else - Get Knotted can truly bring people together. Companies also use this game in their team building retreats as a form of ice-breaker, because it allows their employees to unwind and forget about work stress for a while. Kids, and kids at heart, will both enjoy this fun game. There are no limitations to it, and you can even have prizes for the winners. That will give an extra boost to the competition between players. Honestly, just watching as a spectator can already be so much fun - so imagine how it’ll be like if you’re playing, too! You can hire Get Knotted for an entire day. It only costs £15 - a small price for tons of fun! Whatever the reason for celebration, this game can liven up your party. It can be used wherever, but we find it’s most fun when played outdoors. If you have a garden or field, then you’re set. We’ll take care of the rest. We’ll drop the game off at your party and collect it once you’re done. You don’t need to worry about anything. If you have more party needs, go ahead and browse our site. We’ve got sumo suits, assault courses, bouncy castles, and more games than you can imagine! So if you’re having an event soon, do think of us - we’ll be glad to be of service. For inquiries, give us a ring or send us an email. Also, check out our FAQs page or drop by our Contact Us page.